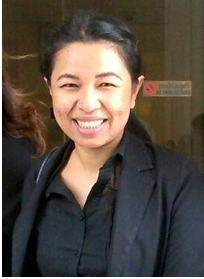 Ms. Pawinee Chumsri is currently the Legal Assistance and Litigation Manager with Thai Lawyers for Human Rights (TLHR). She holds both a Graduate and Bachelor of Laws degree from Thammasat University in Thailand. Her experience in human rights litigation includes cases from the Thailand Southern Conflict (2005-2014) and Martial Law and National Commission Peace and Orders’s Declaration. The Challenge: On May 22, 2014, the National Council for Peace and Order (NCPO) seized power of the country, a coup happened in Thailand and on June 4, 2015 at least 751 individuals were summoned and at least five people indicted on violation of Article 112 of the Criminal Code (lèse majesty). As a further consequence, 71 public events and discussions were subjected to intervention by the military. 18 civilians complained to TLHR having been subjected to torture while in custody with 172 individuals being tried in the military court. Martial Law was imposed nationwide two days prior to the coup and in late July, the NCPO promulgated a new, temporary charter, the 2014 (Interim) Constitution removing any legal restrictions on the NCPO and providing it with absolute immunity, in violation of international law. This is a great concern as most of the accused were denied rightful legal representation. Ms. Chumsri aims to tackle this challenge through providing access to basic legal assistance via a human rights hotline center. She and her team would also litigate strategic cases and document human rights violations under military rule and seek the reinforcement of protection for civilians in vulnerable circumstances.